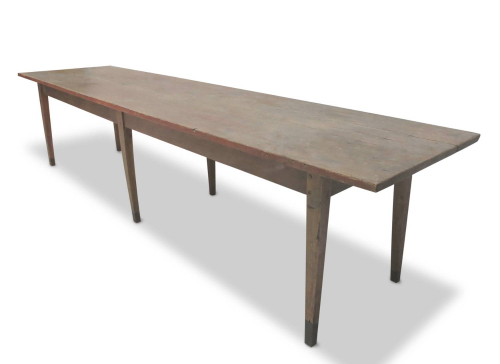 19th century Long English Rustic Pine Dining or Kitchen Table in original condition. 6 legs and remains of old dark red paint. A very genuine piece.